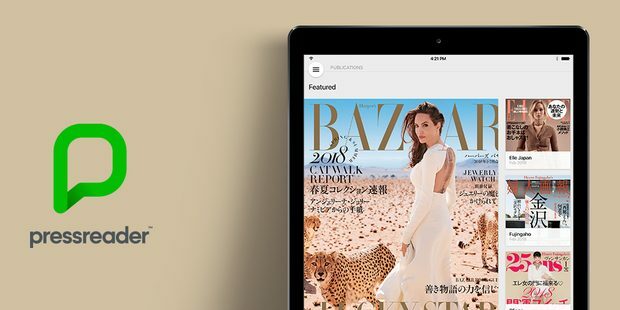 PressReader continues to expand in Asia, adding top Japanese magazines to its industry-leading reading platform in a new partnership with Media Do. Media Do’s extensive publisher network includes hundreds of publications and top titles like Fujingaho (婦人画報), Elle Japan (エル・ジャポン), Utsukushi Kimono (美しいキモノ), Harper’s Bazaar (ハーパーズ バザー), and 25ans. These titles and more have already been added to PressReader’s global library, growing the platform’s Japanese content and widening its readership. The new partnership with Media Do will put more Japanese content in the hands of new readers around the world. Media Do develops distribution solutions for publishers, working to deliver their content to the largest, most engaged audience possible. A partnership with PressReader, then, was natural. PressReader makes it possible for publishers to reach new markets and readers in otherwise hard-to-reach places, like airplanes, cruise ships, ferries, cafes, businesses, and hotels around the world. Both Media Do and PressReader are committed to improving the way people discover great content and find stories that truly matter. We’re on a mission to improve the way people discover stories that matter. With 175 employees in Vancouver, and more in both Dublin and Manila, we’re building a place for people to find great content from anywhere in the world. That’s why we’ve partnered with thousands of publishers to give readers unlimited access to leading newspapers and magazines. We’re all about choice. Using their phone or tablet, readers can browse content online or download entire issues using the PressReader app. They can subscribe for unlimited access, or get the full experience sponsored by one of our partners.